Loveable Aussie music larrikin, Paces, is back with another bit fresh drum pad based electronica goodness. His latest tune, Technique, takes US songstress Emmalyn and upcoming Aussie talent Jeida Wood and fuses them into his well-established sound. When listening you first think that Paces has found a way to take cosmic sounds and give them a tropical flavour. On further inspection however it’s the other way around, he makes use organic sounds from instruments like kalimbas and distorts them in such a way that they get that unique Paces sound! 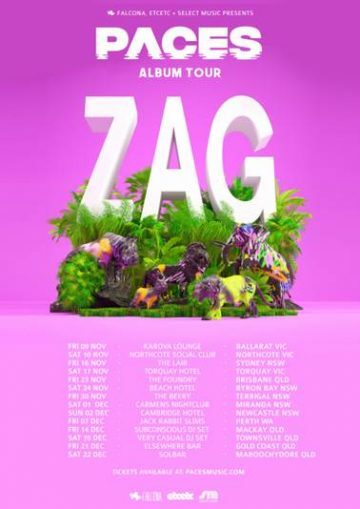 Technique comes ahead his headline tour and album, ZAG set to drop August 24. Check out the track and tell us if you’ll be heading along to his any his dates below!